Holiday Inn Suva is ideally located on the shores of Suva Harbour and within easy walking distance of the commercial district and shopping centres of Suva. There are rooms and suites, each offering air conditioning, balconies and garden or harbour views. Onsite facilities include a restaurant and bar, swimming pool, children's pool, gymnasium and tour desk. The lush tropical gardens of the hotel's grounds combined with the scenic ocean outlook make Holiday Inn Suva the perfect place to base yourself for business or pleasure. 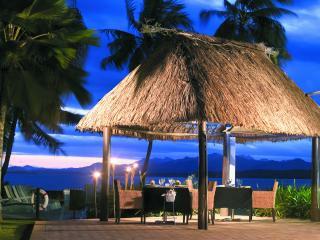 The 108 rooms at Novotel Suva Lami Bay are ideal for those travelling to Suva and after a comfortable and modern stay. This Fiji accommodation is 15 minutes from down town Suva on Lami Bay, away from the hustle and bustle of everything to ensure a pleasant stay. The facilities at this Suva accommodation include a swimming pool, parking, tour desk, bar, restaurant and business centre. 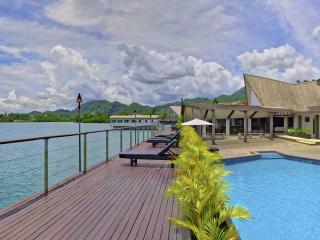 This Fiji accommodation boasts a central location in Fiji's capital, Suva. Tanoa Plaza Hotel Suva is a great choice for business and leisure travellers, with many shops, restaurants, markets and businesses all within easy reach. This Fiji hotel features a swimming pool, restaurant, bar, parking and more. 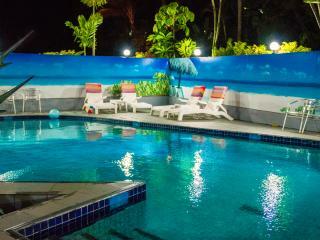 For your next trip to Suva why not stay at Tanoa Plaza.